Madrid Central Suites, Madryt, Hiszpania : Rezerwuj teraz! Welcome to Madrid Central Suites. Spacious apartments in a newly reformed building that is situated 6 minutes walk from Puerta del Sol through a pedestrian Fuencarral street, full of restaurants and shops, and just one metro stop to Puerta del Sol. 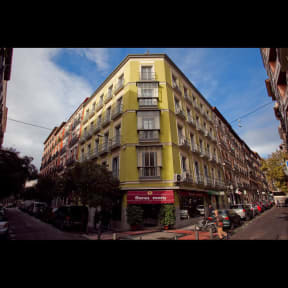 The accommodation is also right between the lively central Madrid districts of Malasaa and Chueca. All the great attractions of Madrid are within a comfortable walking distance through charming old town streets, Puerta del Sol, Plaza Mayor and the Royal Palace. 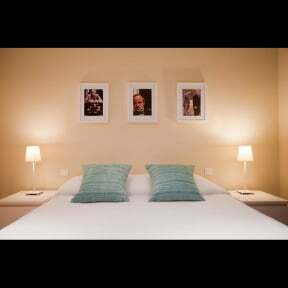 The apartment is also within walking distance to Retiro Park, Mueso El Prado, Museo La Caixa Forum and the Thyssen-Bornemisza Museum. For transport there is a 24 hours taxi's parking in Calle Fuencarral or the Tribunal and Bilbao metro stations within just 1 minute walk. Apartment is fully serviced of 1 or 2 bedrooms sleeping from 1 to 6 people, with fully equipped kitchen, air-conditioning and central heating, large King size beds or large individual beds, spacious closet rooms, flat screen TV and modern appliances to make you feel at home like a Madrid local. Situated on a corner this building is full of natural light and all apartments open out to balconies over the street. At the building entrance there is a reception, with concierge service during your stay. There is a new large elevator access, and all bed linen and towels are included. Credit card accepted MC/Visa with 1% surcharge.